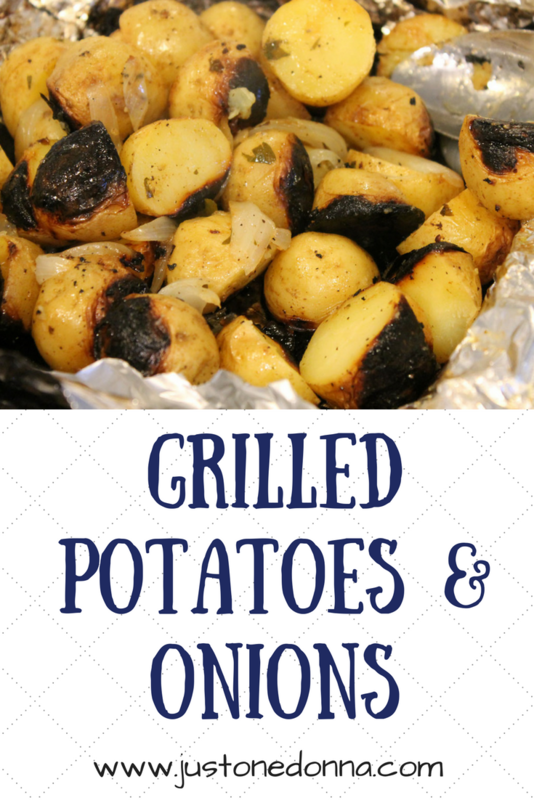 This grilled potatoes and onion recipe is an adaptation from a grilled potato recipe I have been making for years and years. This recipe is a little less fussy and that makes it quick and easy. I'm all about quick and easy, especially where the grill is involved. The grill is not the only way to make these potatoes. You can just as easily use your oven. On the grill, I wrap the potatoes in a foil packet. 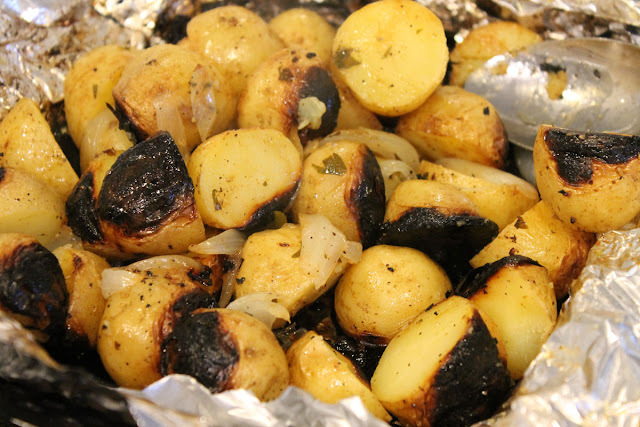 In the oven, you can either use a foil packet or spread the potato mixture on a baking sheet and cook at 450 degrees F.
Either way, your potatoes will be tasty. I'm sharing the recipe with directions specifically for the grill, but use the oven if that is better for you. This recipe serves four adults but you can easily scale it up or down. Turn on your grill to get it good and hot. 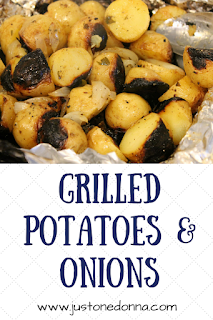 If your grill has a thermometer, you want it to read 450 degrees F. Wash the potatoes and then cut them in half. Place the potatoes and onions together in a large bowl. Melt the butter and mix in the Better Than Bouillon and lemon juice. Pour the butter mixture over the potatoes and toss to cover them well. Sprinkle with freshly ground black pepper, to taste. Cut two large pieces of aluminum foil, about 24 inches in length. Lay the foil pieces crosswise, one on top of the other. 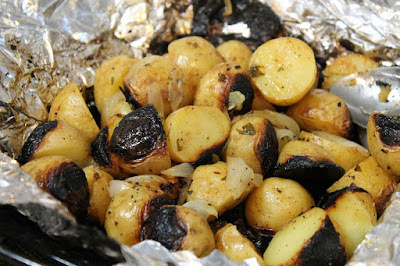 Place the potatoes in the center of the foil, spreading them out as much as you can. Wrap the top piece of foil into a packet sealing the edges. Then wrap the other piece of foil over it, making a packet and sealing the edges. Place the packet on your hot grill. Cook for 10 minutes and then turn the packet over. After 20 minutes test for doneness by sticking a sharp knife into one of the potatoes. Serve with your favorite main dish.